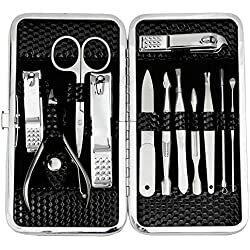 How to Achieve Long Lasting Manicure While Traveling? 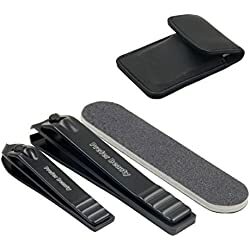 I know you want to keep your nails looking as good as possible while on travel. 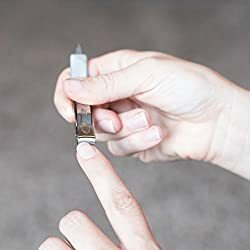 So we recommend using more durable manicure or choose not to paint your entire nail, as it will gradually show a few growth. But if you prefer to color your full nail, select sheer shades, so growth and chips are not going to be so noticeable. Paler or sheer shades, like pale pink, are much more satisfying if the tips get a bit worn out. Additionally, try putting on half gradient manicure or french tips, they are a perfect fit for your nails when on vacation. A long-lasting top coat is a big plus, as to cos those can go a long way. 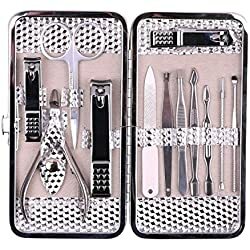 But if you have lots of time in taking care of your nails while on travel and you wanted to keep them as gorgeous as you can, here are some handy manicure and pedicure kits that you can bring with you while you’re away from home. 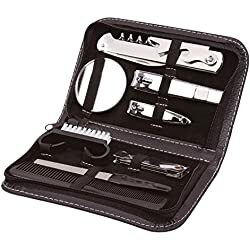 These kits can help you accomplish salon-worthy outcomes at only a small fraction of the price. 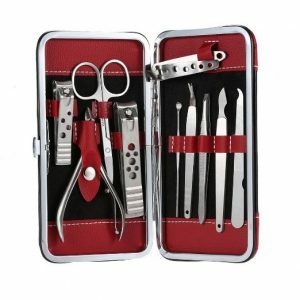 I know you’ll desire a kit that provides professional-grade nail tools that will last over time. 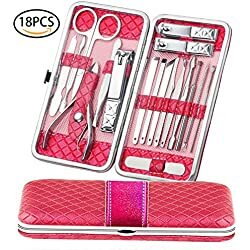 The appropriate manicure and pedicure kit will hinge on which tools you will need, the condition of your nails, and your finances and personal choices. 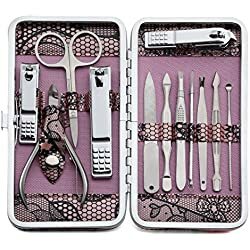 The good news is, we’ve seen some of the best manicure and pedicure kits available to help get you started. 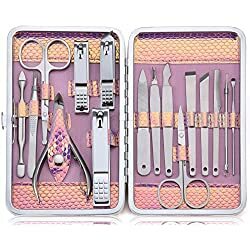 For people who travel a lot and are on the quest for personal manicure and pedicure kits, this 12-piece RoyalStyle kit is among the finest in 2018. 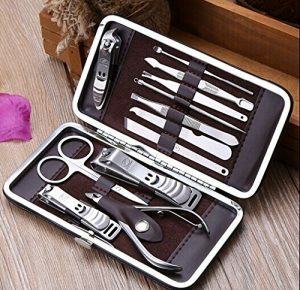 It is easy to work with, comes with multi-functional stainless-steel manicure and pedicure instruments, and comes in a convenient holding case. 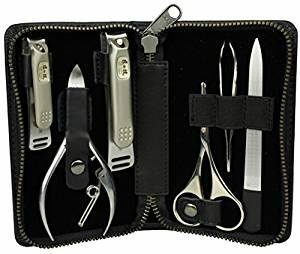 The Seki Edge Craftsman Grooming Kit gives you the tools you need for a manicure, including deluxe stainless steel toenail clippers with a nail file, Seki Edge satin straight fingernail clippers, nostril scissors, stainless steel nail nippers, nail file, and the Seki Edge extra grip slant tweezers. 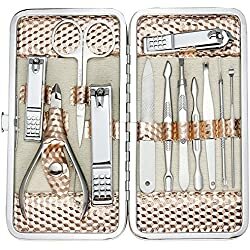 This particular manicure and pedicure kits is one of the best items in this market. 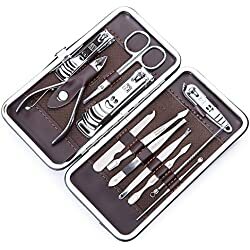 It has ten spa-grade pedicure tools which include ear picks, rasps, and manicure sticks. 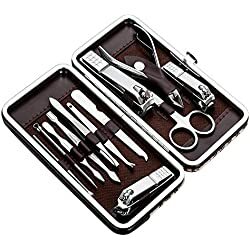 Also, you also get a set of scissors, nail cutter, along with a plethora of other pedicure tools, all made of long-lasting stainless steel. 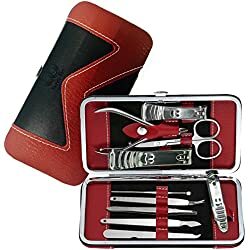 It comes with a fashionable and well-built holding case.